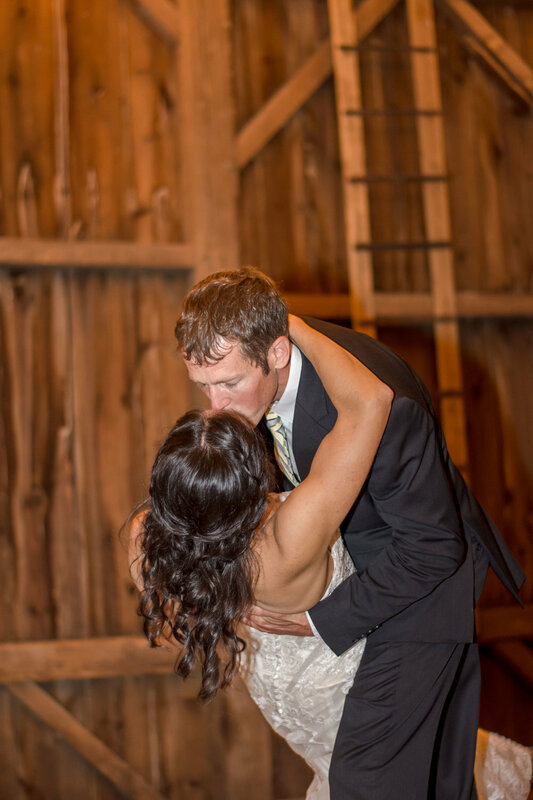 Located in a beautiful valley outside Argyle, WI, our restored barn and surrounding landscape make the perfect venue for a rustic, customizable, barn wedding. This rustic wedding venue is located in a beautiful southern Wisconsin valley a few miles outside of Argyle, Wisconsin. The farm is about an hour drive southwest of Madison; half an hour from Monroe, New Glarus, or Dodgeville; and 15 minutes from Darlington. We are accessible by car, or charter buses can be rented to transport guests between hotels and the farm. Our barn was built in 1885 and has been lovingly restored. Its thick wood beams and hand-hewn pegs reveal the simple but elegant beauty of this vintage barn. The main level is on the second floor which includes an elevated stage that is perfect for indoor ceremonies, head tables, and/or a dance floor. The barn also features a unique third floor for additional seating or a nice viewpoint. Back when this was a working barn, this was connected to the road with a bridge, and horses used to come into the barn with their loads of hay, which could then be dropped to either side below. There is also a multi-purpose space on the first floor next to the stairs that can be used for hors d'oeuvres, a gift table, a guestbook, additional seating, or other decor. 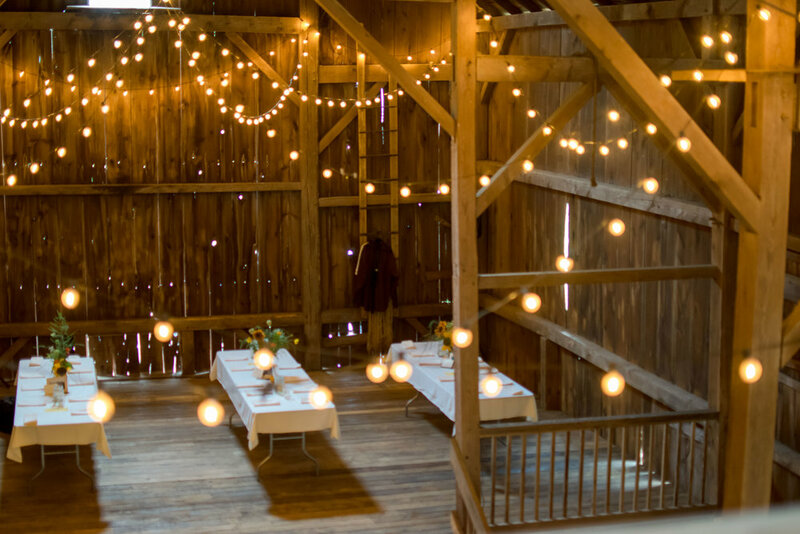 The barn can accommodate up to 200 guests. We have a number of decorations available for use that are included as part of the rental packages. This includes cantina lights, battery-powered tea lights, a large chalkboard and chalk paint, mason jars, milk jugs, and more. We want you to enjoy the flexibility to make your wedding the special and personal day you want it to be. While we're happy to provide recommendations, you're welcome to choose a caterer, baker, certified bartender, DJ, band, party supply vendor, etc. that works best for you (provided they meet the requirements in our contract). 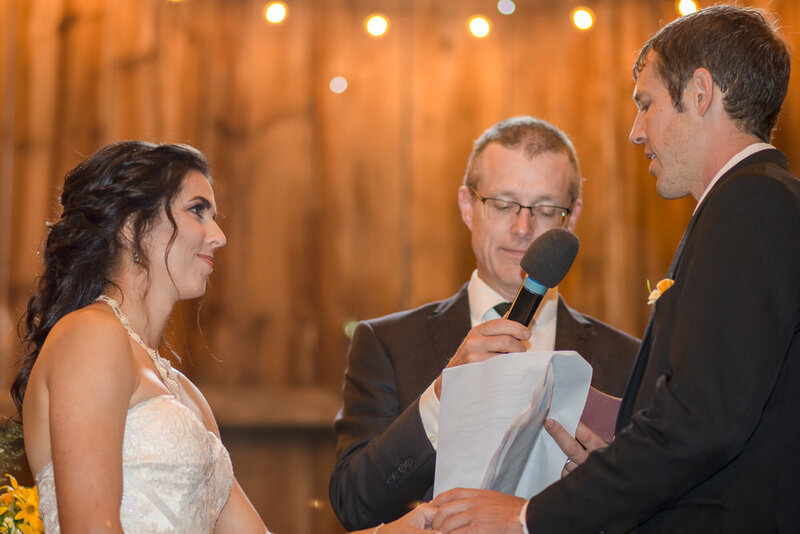 The venue’s iconic southern Wisconsin landscape offers many beautiful and photogenic locations for an outdoor wedding ceremony. If you walk past the farm buildings and over the bridge crossing the stream, you'll encounter the diverse landscape that makes up Plowshares & Prairie Farm. This patchwork includes produce fields where we grow certified-organic fruits and vegetables for our community, prairies, an oak savanna, a wetland, a pond, and woods. We can recommend options for an outdoor ceremony, cocktail hour and lawn games, and for scenic photos. Sustainability is embedded in everything we do at the farm. 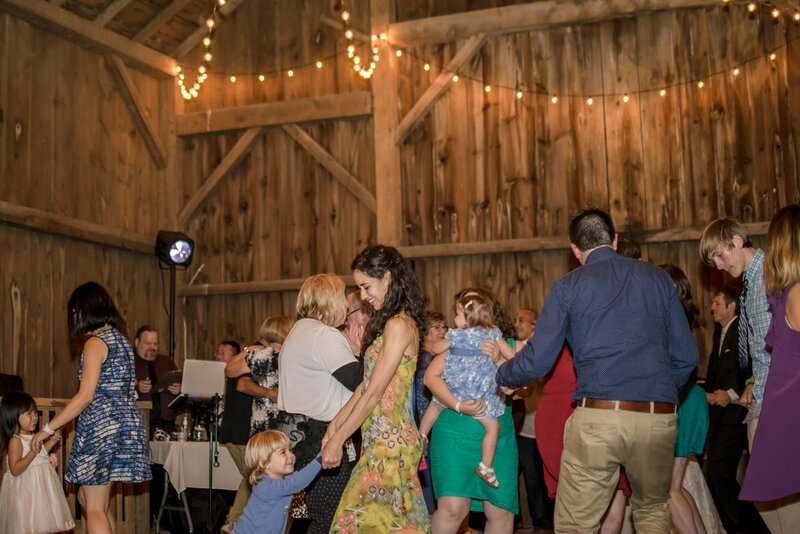 Some green features in the rustic wedding barn include electricity generated from solar panels on the barn roof and energy-efficient LED lighting. If you are interested in sourcing organic produce grown here at the farm for your event, we can discuss options with you and your caterer. 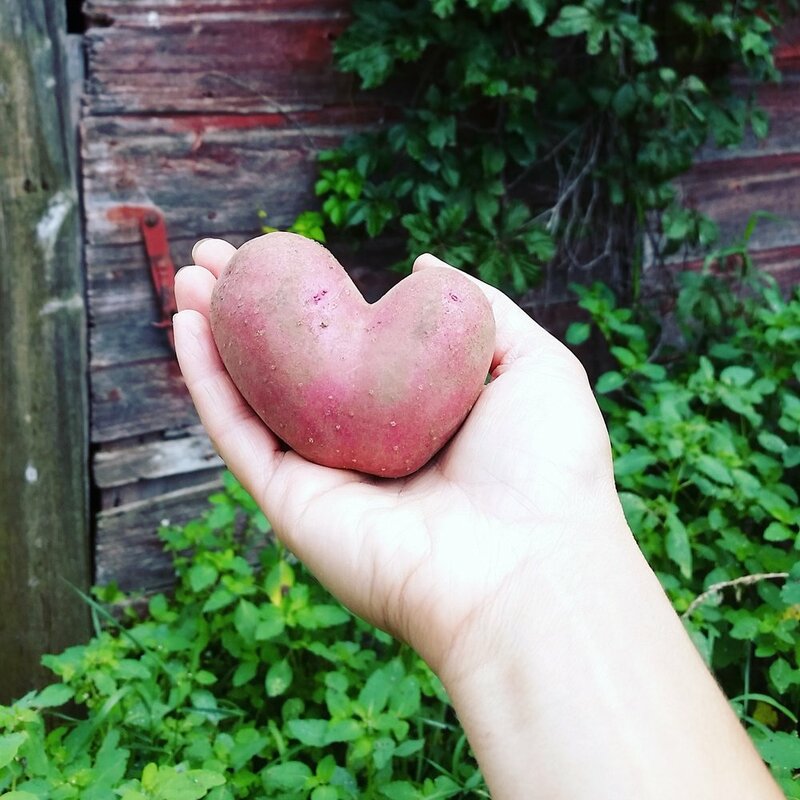 By having your wedding here, you will be supporting local farmers and our efforts to not just grow healthy food, but to take care of this beautiful place for future generations. To inquire about pricing and availability for 2019 or 2020, or ask any other questions about holding your event at Plowshares & Prairie Farm, please Contact Us.